In Server Core installations of Windows Server 2008 the Windows Firewall is enabled by default. This means it’s locked up by default and offers little weakness towards unfriendly administrators and users. When you want to do something with your Server Core box you might want to open up the Windows Firewall a little bit to allow certain types of traffic. First let’s look at managing the Windows Firewall from the Console of your Server Core box. Alternatively you can use the spanking new Advanced Firewall, which enables you to control incoming as well as outgoing traffic, allows you to edit the firewall configuration in offline mode, (so you can change the settings, without committing any changes yet) monitor connections and import/export your firewall configuration. There’s a nice webpage with more information on the Advanced Firewall functionality here. It shows you how to change settings through the commandline and how to change them using Group Policies. Another way to manage the Windows Firewall on your Server Core box is to use Group Policy Objects. You can edit the local group policy of your Server Core box from a remote Windows box, which is useful if you want to set the settings in a graphical user interface for small amounts of Server Core boxes. 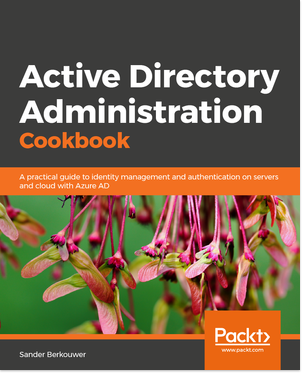 Alternatively you may harness the power of Active Directory, to change the settings on loads of Windows Server 2008 (Server Core) boxes automatically and without loads of administrative effort. Completely disabling the Windows Firewall is a tempting way to circumvent the security measures in Windows Server 2008. As an alternative this blogpost shows you how to selectively and gradually open up the Windows firewall from the console of your Server Core box. For the faint of heart I included some hints to edit the local group policy. Enterprise admins will probably already have a Windows Firewall policy in place, which they only have to adapt to manage Windows Server 2008 Server Core boxes.